But Mars’ win was still marked some growth for the Academy, becoming one of the few R&B albums to win the top prize. He dedicated his win to songwriters who have made history in R&B music, including Babyface, Teddy Riley, Jimmy Jam and Terry Lewis. Lamar also won with his performance: He kicked off the Grammys with a powerful and poignant performance featuring video screens displaying a waving American flag behind him, as background dancers dressed as army soldiers marched and moved behind. At one point, Lamar’s background dancers, dressed in red, were shot down as he rapped lyrics, later coming back to life as fire burst to end the six-minute performance. But the night’s top performer was Kesha, who was passionate and striking onstage with the help of powerful women behind her, including the Resistance Revival Chorus. She was joined by Cyndi Lauper, Camila Cabello, Julia Michaels, Andra Day and Bebe Rexha for her Grammy-nominated song, “Praying.” Dressed in white, they won over the audience and hugged at the song’s end as some audience members cried, including Hailee Steinfeld. “Black is beautiful, hate is ugly,” rapper Logic said onstage after performing suicide prevention anthem “1-800-273-8255.” The performance, also with Alessia Cara and Khalid, included a group of suicide attempt and loss survivors selected by the National Suicide Prevention Lifeline. The show, hosted by James Corden, also featured some comedy. Hillary Clinton, John Legend, Cher, Snoop Dogg, Cardi B, and DJ Khaled won over the audience in a skit when reading lines from Michael Wolff’s book, “Fire and Fury: Inside the Trump White House.” Corden said the book could compete for the best spoken world album Grammy. Chappelle, who was part of Lamar’s opening performance, won best comedy album during the televised show. Posthumous Grammys were also handed out to actress Carrie Fisher, singer Leonard Cohen and engineer Tom Coyne, who worked on Mars’ “24K Magic” album. 60th Annual Grammy Awards Recap. 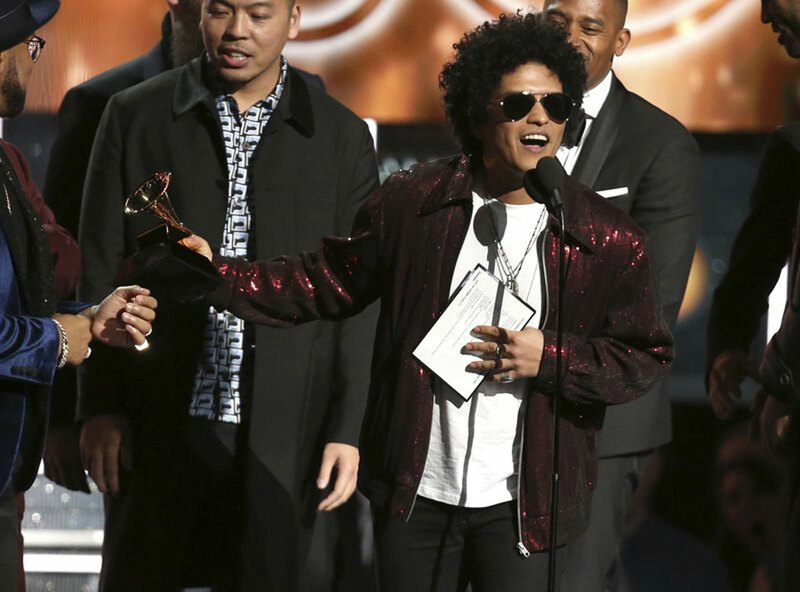 Here are the performances highlights, all Grammy winners, and best moments of the night. Double winners included Jason Isbell, Justin Hurwitz and CeCe Winans. The show, hosted by James Corden, also featured some comedy.